The New York marathon proposal that has the internet raging. "I am STEAMING." The marriage proposal that has the internet raging. So, a man surprised his girlfriend by hopping over a barrier when she was in the middle of competing in the New York Marathon to propose. According to CBS News, it was Kaitlyn Curren’s first time competing in a marathon. She’d been training for a year and had no doubt been thinking about (and looking forward to) this challenge for months. 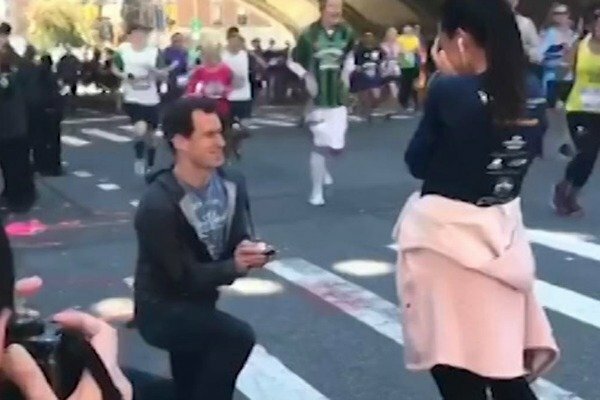 She was hitting the 16th mile – almost 26 kilometres – when her boyfriend Dennis Galvin interrupted her and got down on one knee and proposed. Curren said yes, cried, and gave him a hug. Galvin put the ring on her finger before she said she needed to finish the race. So off she went. To run the remaining 16 kilometres. It seemed… Ill-timed. 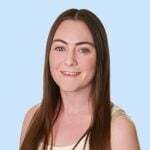 Curren was more than halfway through completing a marathon – a huge personal achievement she had trained 12 months for. She went on the complete the marathon in four hours and 24 minutes. He messed up her time so badly. If you’ve ever run a marathon/ultra, of which I’ve run dozens, you know that the last thing you want part way through is to have your concentration and pace interrupted by anything, much less by a self-centered guy who needs you to stop mid-race to capture his proposal on camera. Multiple critiques of that marathon proposal on my feed. Regardless of how I personally feel about it, I don’t have it in me today to be cynical about a happy moment & decide on behalf of a woman I know nothing about whether she should be mad. Wishing the couple much happiness. It gives me faith in people that no one likes a proposal during a marathon. The NY marathon proposal is hilarious, dude’s lucky she stopped, and she was totally over it by about the dozen second mark. I could just see her thinking, MY PACE! Now, Curren appeared happy with the proposal (she said yes, after all), so that is really all that matters. Well, that and her completion of the marathon! Why did he not wait until the finish line? Does she think she shaves 30 seconds off her official finish time because he totally destroyed her pace? Why didn’t he take the jersey wrapped around her waist that she very clearly did not need? Did the ring fit perfectly? Because uh, imagine running 16 kilometres panicked that your slightly-too-big engagement ring will fall off and be trampled by tens of thousands of runners. Eek. Oh, plus there’s the little issue of doing it in public. The debate over public proposals is nothing new – some consider it romantic, others think it’s narcissistic and selfish. Wedding planning website The Knot surveyed 19,000 couples about marriage proposal mistakes: Proposing in front of an audience was listed as a top 5 proposal no-nos. The survey found that most women said proposing in public or in front of family and friends was a big faux-pas and they would prefer a private proposal with just them and their partner. There’s no privacy in the middle of the world’s largest marathon. For Curren, the story of her incredible, hard-earned achievement will now be more about her partner’s proposal. Maybe she loves that. It’s absolutely possible that this was just the type of proposal she had dreamed off and Galvin hit it out of the park. But she also could’ve wanted her marathon story to be just about her. Unless someone really enjoys being the centre of attention or is happy for their run time to be 30 seconds slower than they’d trained for, please just… Keep it private.